As there are barriers in life, there are also barriers in blogging. I’ve actually got this post idea from my church’s sermon last Sunday, about “How to finish well by starting well“. We were taught on how to focus on the goal and eliminate the barriers in our life. As far as practicality, this goes the same to blogging too, surprisingly. 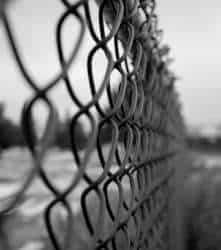 So what are the barriers in blogging and how do we eliminate them? Most bloggers have more than 1 blog (including myself). The reasons can be varied from bloggers to bloggers. Some do it to get more income/money from multiple blogs and some do it because they want to share different area of their expertise. I’m not against having multiple blogs. However, once you find out that you can’t simply cope with maintaining them regularly, then do re-consider! I’m having a hard time maintaining the other blog of mine (a Christianity blog) simply because I don’t really have the time to write posts regularly to both blogs. I can’t imagine having 5 or 20 blogs!So once you know that you can’t cope and aren’t focused anymore, choose your primary blog (or blogs) and stick with them. Often that as a blogger, you try to please your readers and your subscribers. Why would you want to please them? Of course to get them coming back to your blog (or to get some free marketing for your blog, oops :)). As a blogger, having loyal readers, subscribers, and commentators keep you going and give you the spirit to maintain your blog regularly. This can be dangerous however, as you can end up focusing on how to please your readers rather than focusing on what you want your blog to be. On my blog, I can’t please everyone. When I post game reviews on this blog, non-gamers may surely ignore the post completely. When I post blogging tips, non-blogger subscribers would probably throw my post into the bin. You simply can’t please every reader or subscriber on your blog! Focus on your original blog’s vision (hopefully you do have a vision to your blog!) . So you have just found out a ground breaking news of your blog’s area of expertise. However, it’s a holiday and you’d really want to spend some time playing around or simply being in bed the whole day instead of writing a post about it. Think again. Hundreds if not thousands of blogs out there may have covered that same news by the time you’ve published your procrastinated post. If you find something good (or if you have an idea of a good post), write about it now! Don’t procrastinate! Know how to rest, but also know how to work hard. Most people can’t maintain these two in a good balance. However, if you really treat your blog seriously, maintain your dilligence. Write posts regularly. Reply your readers regularly. I’m sure you must have heard this tip everywhere on the net: If you plan to write one post every day, then do it. If you plan to write on each week, then do it! The “Me” mentality. “This is my blog. I can do whatever I want with it!”. Well, wrong. It IS your blog but there is no point having it when your readers hate your blog. If everyone says that your blog is too cluttered with ads, then reduce them. If everyone says that they can’t read your black color font on a dark brown background, then change it. Maintain the balance between this point and my point #2 above. What’s your primary blogging barrier? It can also be something that I haven’t mentioned above (there are so many other barriers to cover: time, family, etc). Next articleOops! Forgot your attachment?